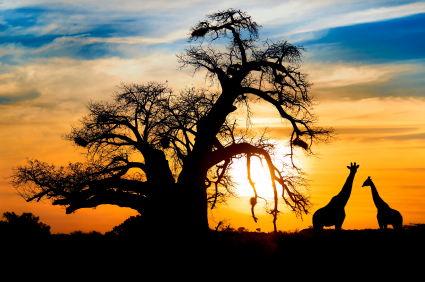 Africa is an culturally rich and ethnically diverse continent, with opportunities to study a wide variety of subjects. Besides the many cultures and languages, subjects of special interest include archaeology, political science, and sustainable development. There is a substantial amount of scholarship support for undergraduates wanting to travel to Africa, and graduate students should check the many fellowship listings for African studies. The Benjamin A. Gilman International Scholarship Program funds foreign studies for financially needy undergraduates, so you must be a Pell Grant recipient to qualify. The purpose of sending needy students is to diversify the group of undergraduates America sends abroad, and accordingly applications from students who attend community colleges, disabled students, students of various ethnicities, and students from the STEM fields receive some priority. Preference is also given to those choosing nontraditional locations like Africa, but the Gilman program is one that will not let you travel to countries listed on the State Department’s travel warning list mentioned in the note at the bottom of the page (State underwrites the Gilman awards and thus has control over its rules). As of March 14, 2013, sixteen African nations were under such warnings, so choose your destination carefully. The average Gilman scholarship brings $4,000, and if you are studying a language deemed important to national security interests like Arabic or Swahili, both spoken in Africa, you may also receive a Critical Need Language Award in the amount of $8,000. Consideration for that supplement is automatic. The David L. Boren Scholarships for undergraduates are not unlike the Gilmans, but place more emphasis on the critical language component. Borens require students to visit destinations less frequently chosen (including Africa) for the purpose of studying languages that are less often taught. The program is currently offering the African Languages Initiative, and it includes the following languages: Akan or Twi, Hausa, Portuguese, Swahili, Wolof, Yoruba, and Zulu. A Boren scholarship can be worth as much as $20,000, but there is one condition: since the program receives its funding through the National Security Education Program (NSEP), you must fulfill what’s known as the NSEP Service Requirement. That agreement means you will work for the government in a position related to national security, for example in the Department of Defense or one of the intelligence agencies. Your commitment will last for a year or for the length of time you participated in the Boren program, whichever is longer. The Sally Bragg Baker Scholarship is reserved for women who want to work toward world peace through international relations, which is always a topic of special relevance to Africa. The SIT Pell Grant Match Award, in which SIT distributes scholarships to Pell recipients, and the SIT Fund are both designed to send financially needy students abroad. The HBCU Scholarships benefit students from Historically Black Colleges and Universities (HBCUs) who want to study in Africa. The Center for African Studies at the University of California, Berkeley awards the Andrew and Mary Thompson Rocca Scholarship in Advanced African Studies to graduate students who need extra financial support in order to complete research in Africa for a dissertation. Intended as a supplement to other grant aid, the Rocca scholarships vary between $2,000 and $6,000. Michigan State University’s Office of Study Abroad (OSA) has an extensive program that provides several courses in Africa, such as Social Development and Education: Perspectives from Ghana and Sustainable Community Development in Tanzania. OSA lists its own scholarships, some based on academic history and some on both academics and financial need. Academic scholarships include the Charles and Marjorie Gliozzo Merit Scholarship and the Office of Study Abroad Academic Excellence Awards, for both of which a GPA of 3.75 is suggested. The personal essay you submit will weigh heavily in considering your application. The Forest Akers Scholarship goes to a needy student who is not eligible for the Pell Grant. The Georges Jules Joyaux Memorial Fund Scholarships benefit undergraduates who want to spend at least four weeks in a country where French is spoken, like Senegal and the Democratic Republic of the Congo. The Carol Welch Endowed Scholarship is reserved for students from Michigan or Brooklyn.